OPPO N1 made its beginning in Indian market on Thursday. By introducing this device, China has again amazed people by putting its best effort to come out with new things. 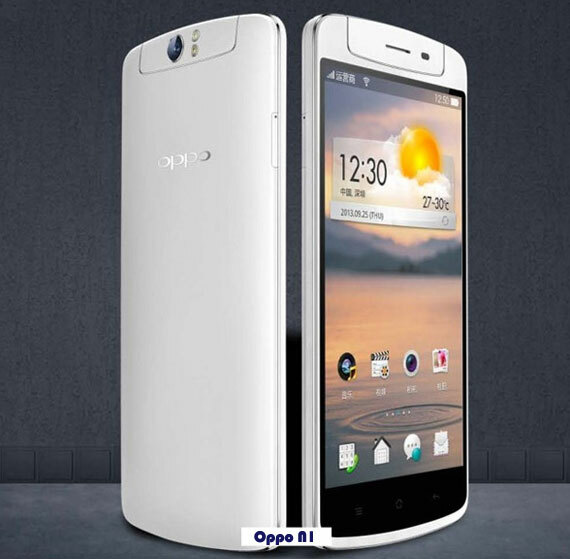 Chinese mobile gadget maker “OPPO” has introduced its new Smartphone N1 which is priced at Rs. 39,999 only. OPPO N1 will be counted as an innovative smartphone because of its revolving 13 MP camera which can face in both; rear and front. It captures standard images but wins your attention. OPPO N1 has attractive and stylish packaging with 5.9 inch display, in matte white-metallic silver color. In spite of its huge size and 213 gm weight, it is a handy device. For an average user, the device is bulky but for those users who prefer the big screen, it is good for them. The device comes with a feature which says that you can toggle apps by drawing shapes with a custom skin. Its unibody construction makes the device solid. OPPO has the version of N1 that comes with CyanogenMod (an open source replacement distribution for tablet and smartphone) which is previously installed on this device. It has Color OS user interface over Android 4.2 Jelly Bean which is based on gestures. OPPO also has an accessory called O-Click which is paired with N1 using Bluetooth. Using O-Click, you can take a picture with a single click remotely. You can take pictures from 15 meters away from the device. In terms of App icons and color scheme, Android interface has been tweaked.